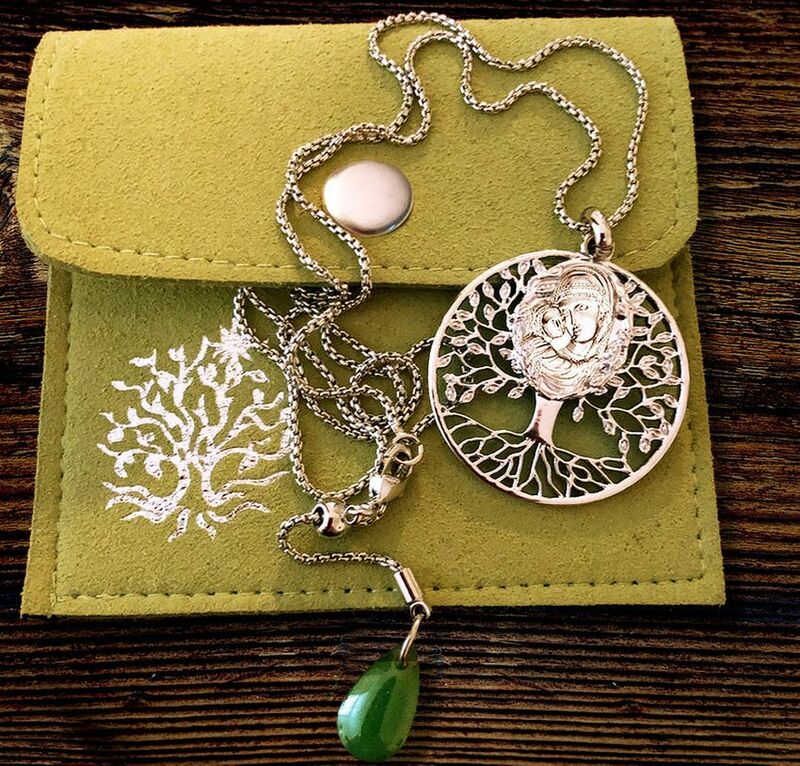 Madonna and Child "Tree of Life" Stainless Steel Pendant. Necklace made of Brass and Stainless Steel Electroplated. Set includes adjustable chain 16 to 21 1/2 inch. Chain is easily adjustable by moving the ball part by the clasp.